Jefferson Avenue is the north/south road that runs through the heart of the BrykerWoods Neighborhood. A main thoroughfare used as much by neighborhood residents as daily commuter “cut-through” traffic, Jefferson Ave. reflects the character of the BrykerWoods neighborhood – unpretentious, scenic and historic. Serving as a gateway to the BrykerWoods neighborhood, Jefferson Ave is one of several streets in the neighborhood named after United States presidents. An urban neighborhood “green space” is located at the north section of Jefferson Ave. at the 34th Street intersection. Jefferson Ave. is not only one of the neighborhood’s most busy streets, but also one of the neighborhood’s oldest streets made visible on a 1910 USGS map. 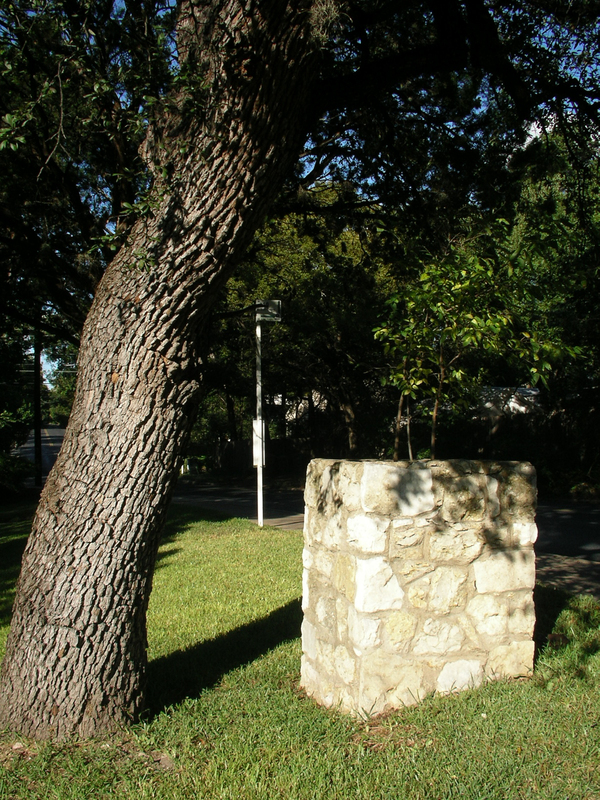 Lined with a mature tree canopy, distinctive features also include stone markers located at several corners along Jefferson Ave. These unique stone markers are remaining fixtures of the original 1930’s BrykerWoods neighborhood subdivision. Traffic calming was implemented along Jefferson in the 1980’s to reduce speeding. Although perceived as irritating and inconvenient by many, the speed humps have reduced speeding traffic and improved safety for the BrykerWoods neighborhood residents. Improvements for Jefferson would include consistent curbing and improved crosswalks. Reflecting the age of the road, some areas along Jefferson Ave. lack conventional curbing. And the absence of curbing promotes parking upon the sidewalk – a real inconvenience and safety concern. 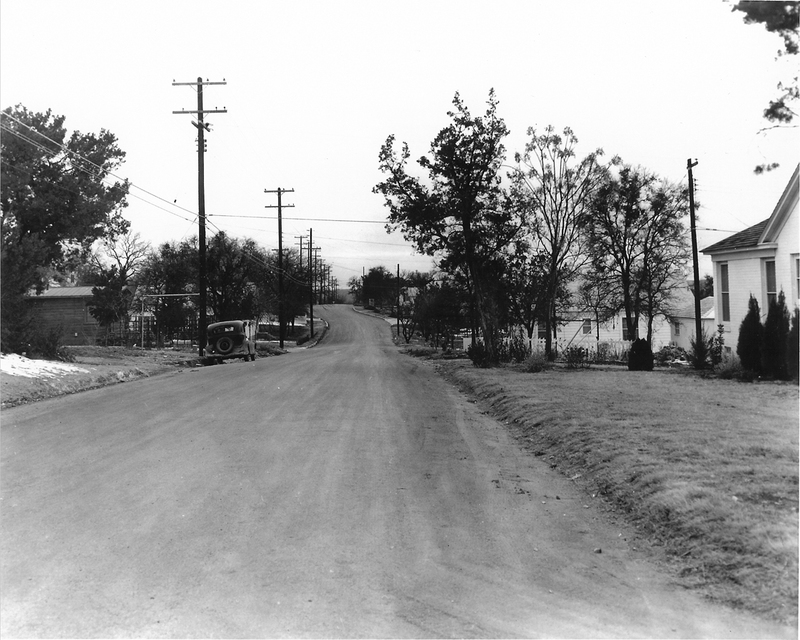 Jefferson Ave. has provided a convenient and useful thoroughfare for almost a century while enduring the increase of MOPAC cut-though traffic as the city has grown. Used by many people who live within and outside of the BrykerWoods neighborhood, Jefferson Ave. is a street rich in history and unassuming beauty. 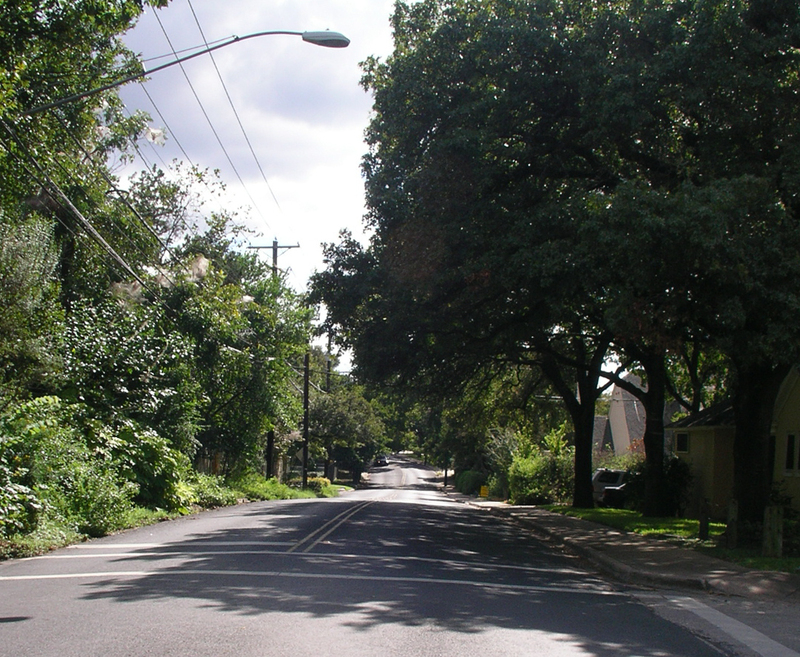 And just one of the many wonderful neighborhood streets that make Austin such a wonderful place to live.